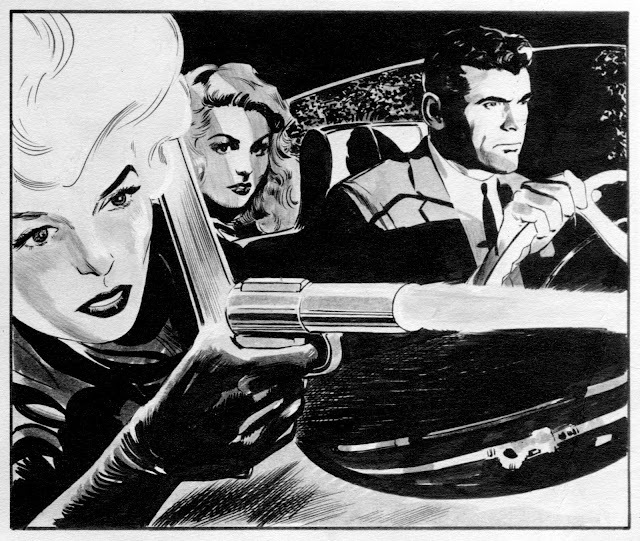 This is panel 1 from the third page of a set of 3 pages done by Doug Wildey as part of a mid ‘60’s Hanna-Barbera pitch for a live action series. 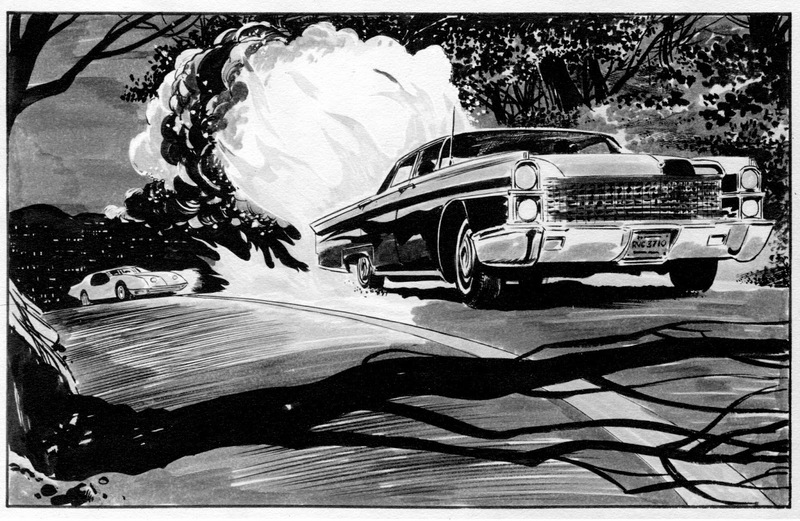 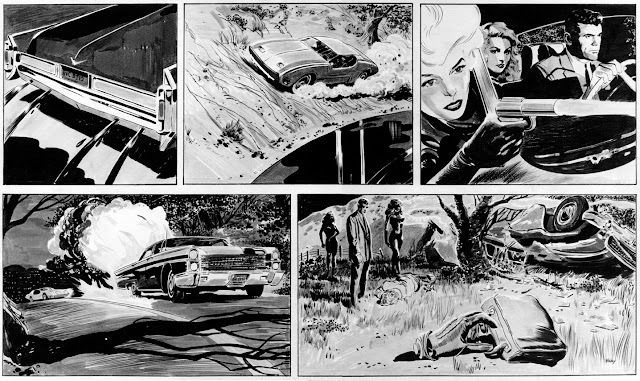 This is panel 2 from the third page of a set of 3 pages done by Doug Wildey as part of a mid ‘60’s Hanna-Barbera pitch for a live action series. This is panel 3 from the third page of a set of 3 pages done by Doug Wildey as part of a mid ‘60’s Hanna-Barbera pitch for a live action series. 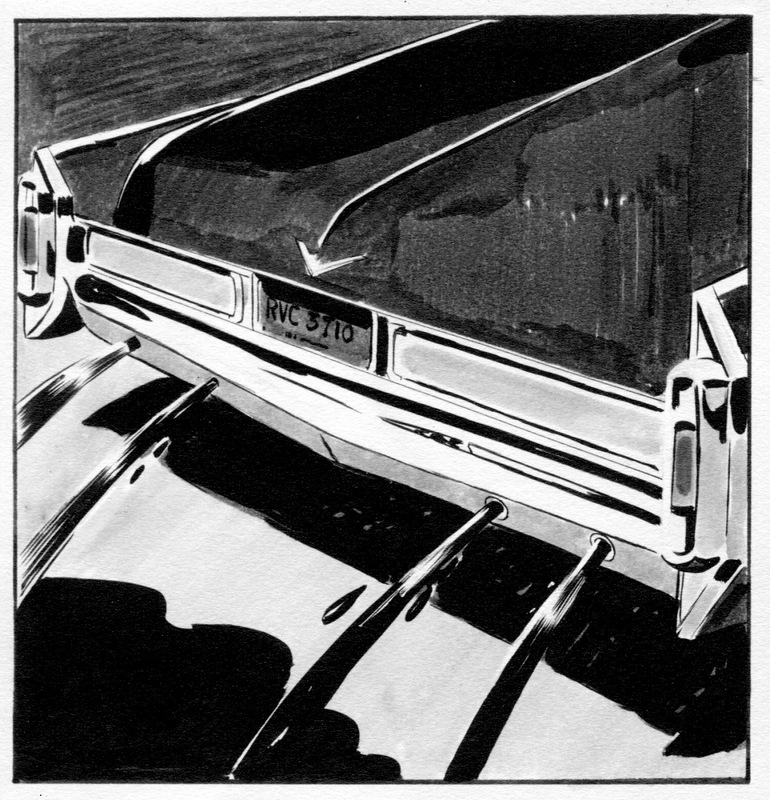 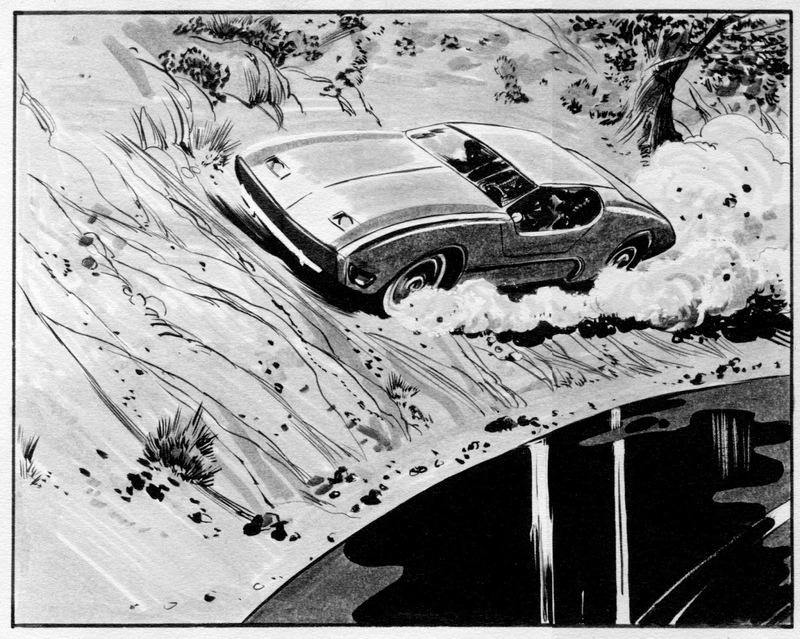 This is panel 4 from the third page of a set of 3 pages done by Doug Wildey as part of a mid ‘60’s Hanna-Barbera pitch for a live action series. 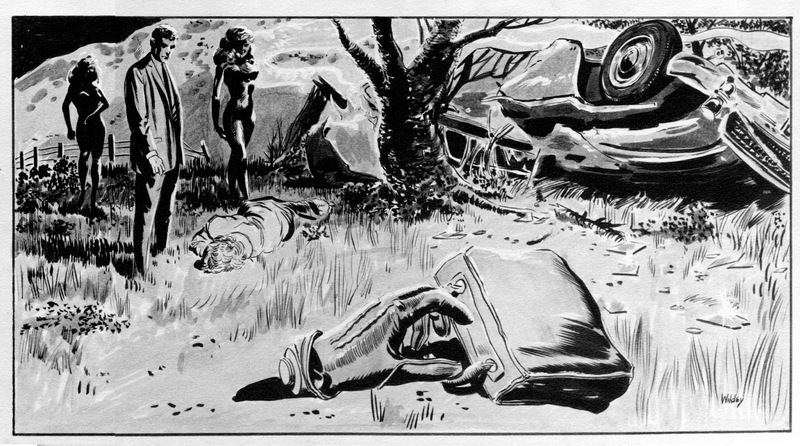 This is panel 5 from the third page of a set of 3 pages done by Doug Wildey as part of a mid ‘60’s Hanna-Barbera pitch for a live action series.